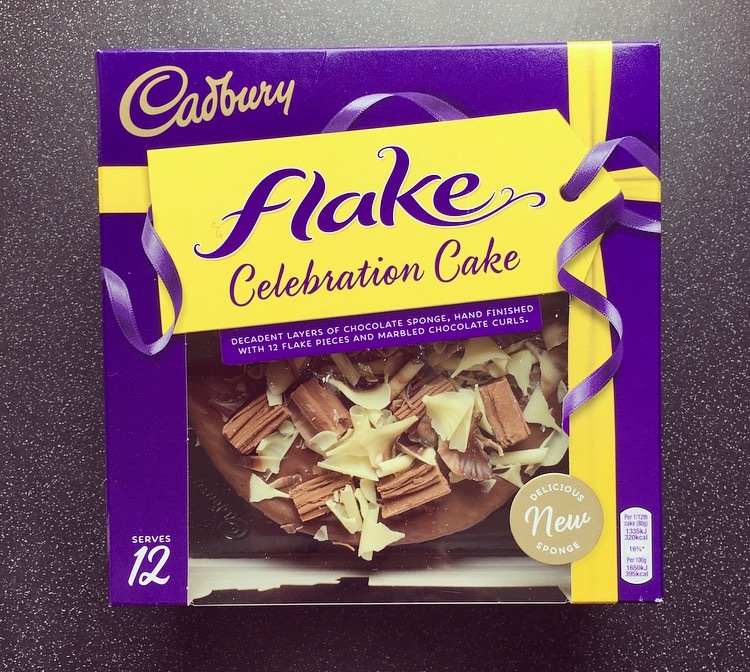 The Cadbury Flake Celebration cake is back! 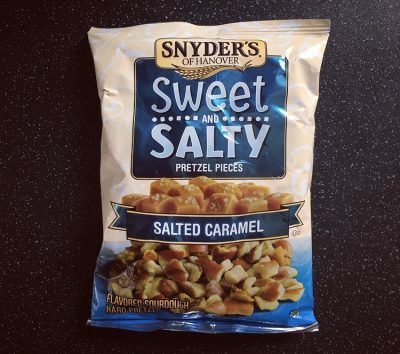 I had its predecessor a few years ago and it was delicious and I certainly couldn’t believe that they discontinued it there after. Fear not though it’s back on the shelves and promises to be an even more delicious sponge. Given we had a birthday at the weekend it was only fitting that we give this new version a go, and plus I was buying the cake so it was my choice! At £8.00 which is pretty average in price for birthday cakes these days, it apparently serves approx. 12 people, we shall see about that! 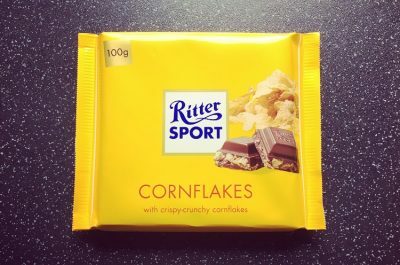 As you can see the top is so pretty and inviting with it being literally covered in chocolate marbled curls and decent sized chunks of Cadbury Flakes. 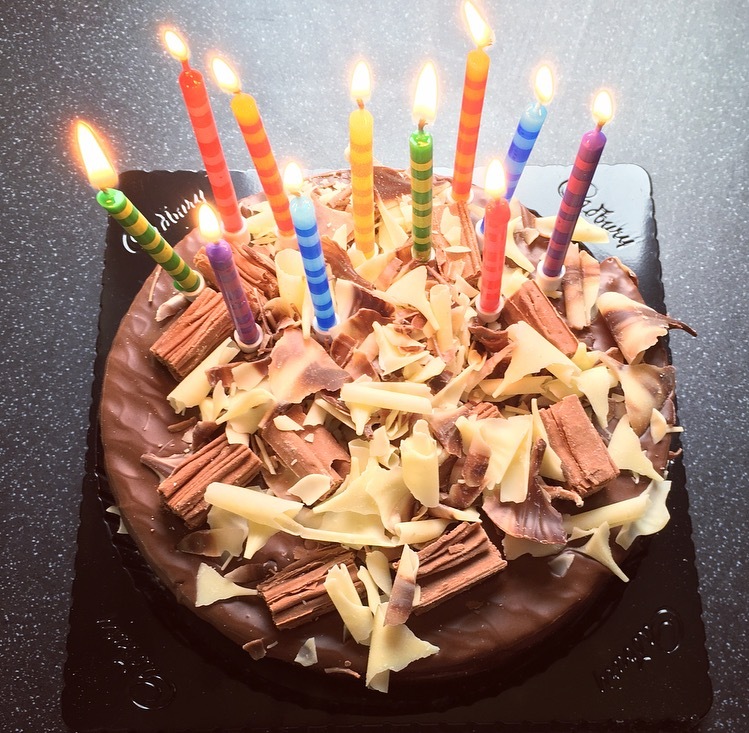 It is certainly a pleasant surprise to see a birthday cake that has a more than generous amount of toppings and ensures that there will not be any fisticuffs over not getting some chocolatey extras with their slice! Cutting a slice was a little tricky. Not only was I contending with the chocolatey curls and Flakes, but the liquid chocolate coating around the cake took a bit of effort. Once in it revealed the vertical lines of chocolate sponge and chocolate flavoured creme, which aesthetically gives it a one up on the average birthday cake. First and foremost I love the choclate coating. It has the delightful snap, melts in the mouth, provides an extra dosing of chocolate, and I much prefer this to a generic buttercream or royal icing covering. The cake itself is not as chocolatey as I would have liked, it is light as a feather however is a little on the dry side. Im not sure where this ‘delicious new sponge’ comes into play because its predecessor was faultless. The chocolate creme is sweet, smooth and light and does well to counteract the dryness from the sponge, but it could have done with a tad more sandwiched in-between those sponge layers. The topping of marbled chocolate curls and chunky flakes rounded the cake off nicely giving it a little crunch factor. As a whole I loved this cake. Yes the sponge was a little dry but this Cadbury Flake Celebration Cake does back a chocolatey punch. 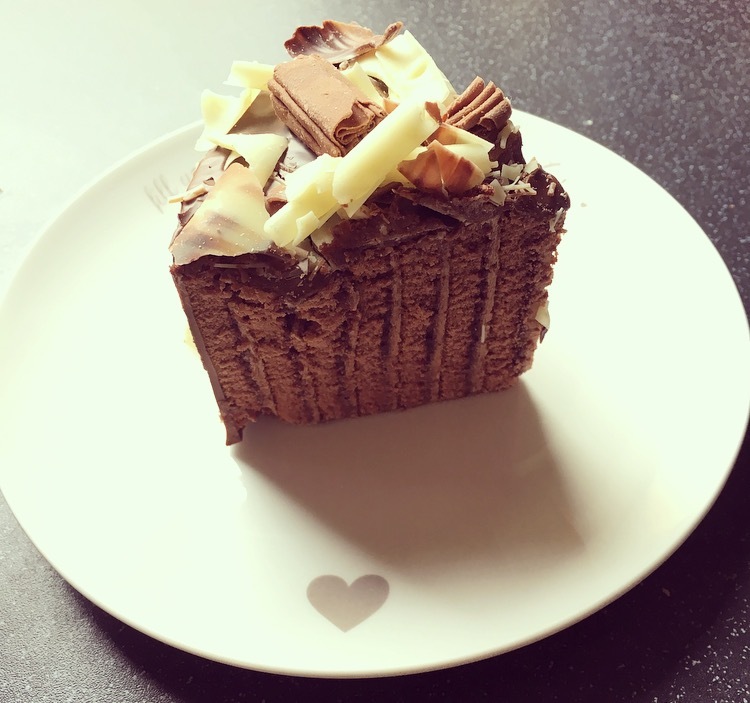 It is certainly one for the chocaholics and sweet tooth guys and gals and I have to say it is delicious slightly warmed in the microwave so everything starts to melt… hmmmmmmm! Am I pleased with this cake, yes I am. Would I buy it again, absolutely. Just please Cadbury sort out the sponge! I do not know what is in this ? But it sure made me very sick. (one small piece) I was in Migraine Hell & I am not going to publish what exactly happened to me. I thought that I was going to die. Never again. MSG or something ? POISONS ?? Chocolate is a NEURO TOXIN.